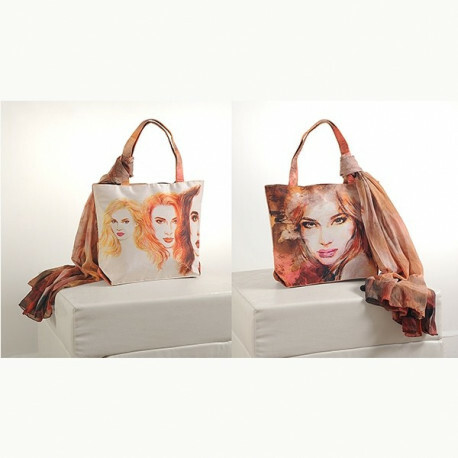 This modern look of bags will help you enhance your style in the most glamorous way. 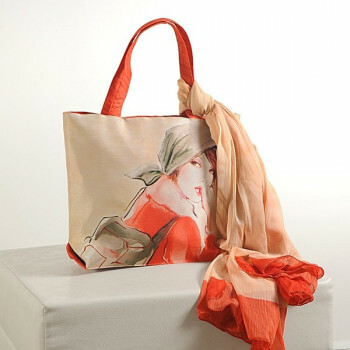 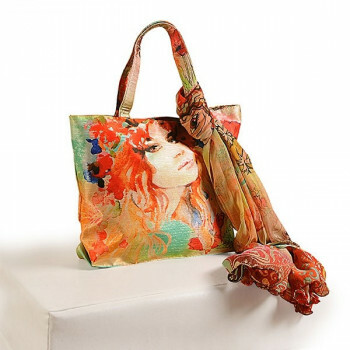 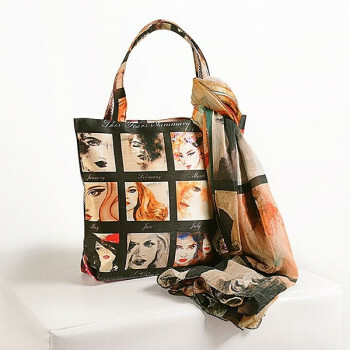 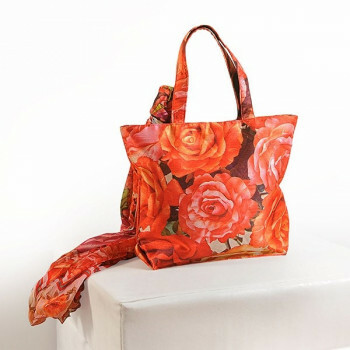 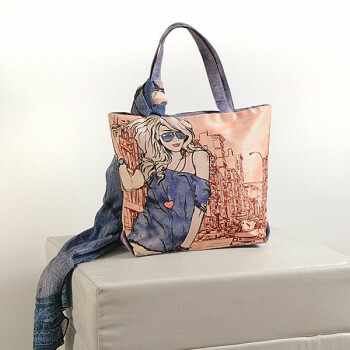 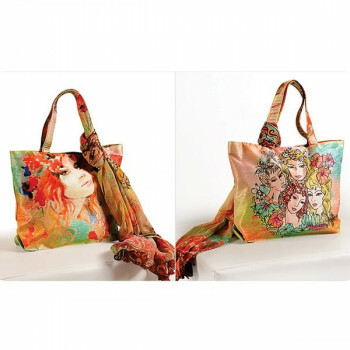 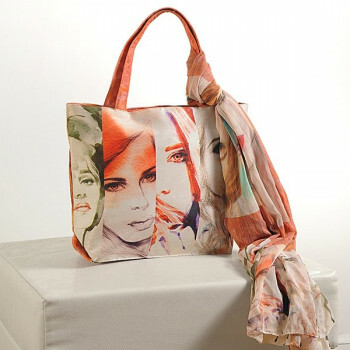 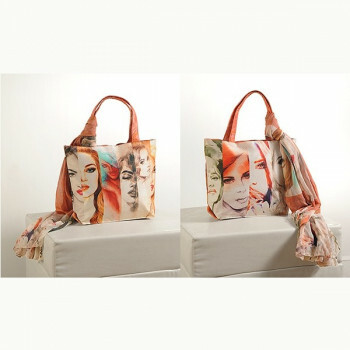 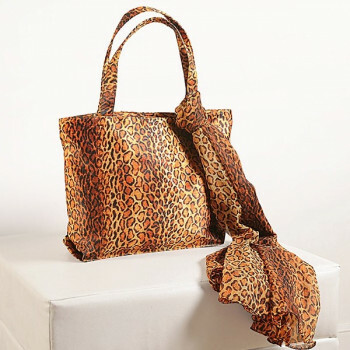 Buy brown girl scarf bags from swayamindia.com, our online shopping portal to be a girl from the modern age. 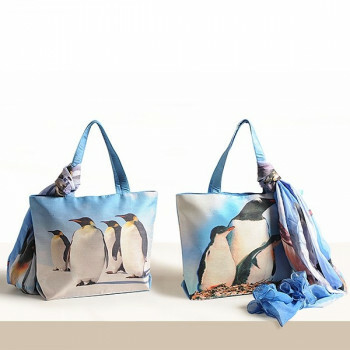 These excellent bags are offered with matching scarves which will help you to coordinate the color and style of the bag with your dress. 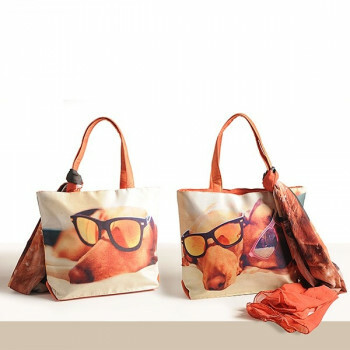 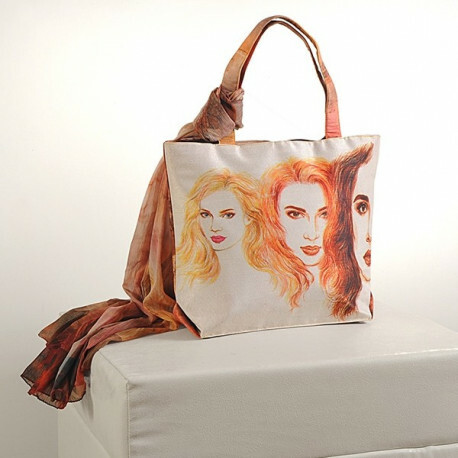 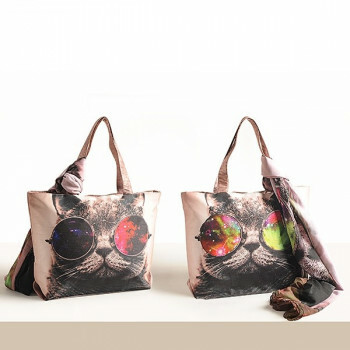 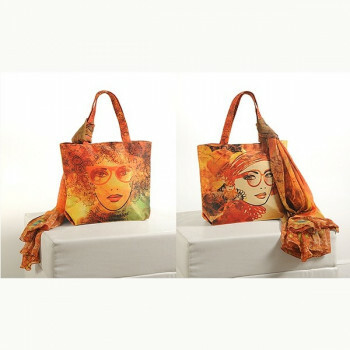 Printed with artistic images of beautiful girls in shades of brown, peach and many other colors, they make an ideal style in this trendy age. 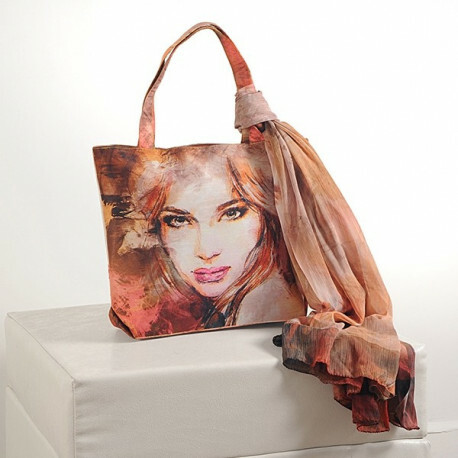 The concept of a painting is incorporated in this design which looks glamorous. 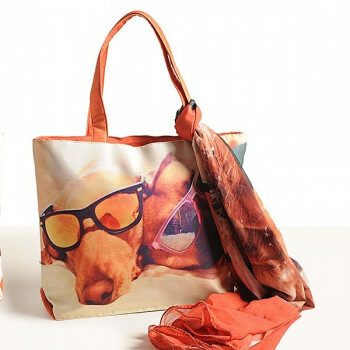 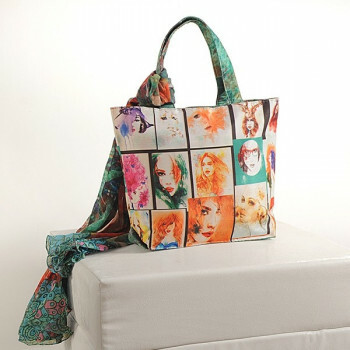 Each and every inch of the bag has a detailed finish which gives it a picture perfect look. 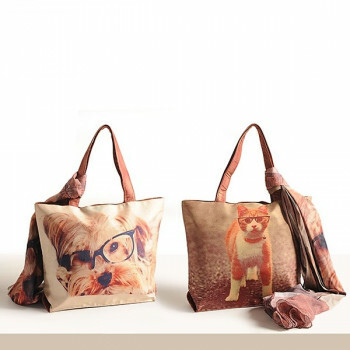 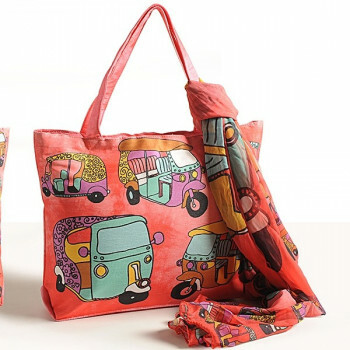 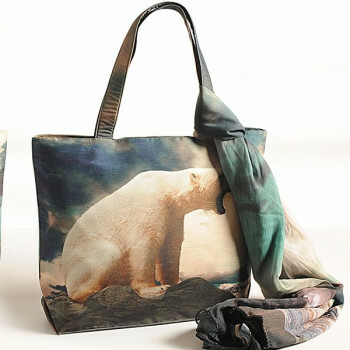 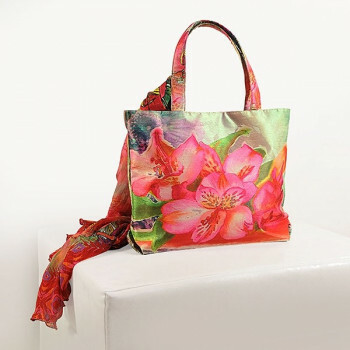 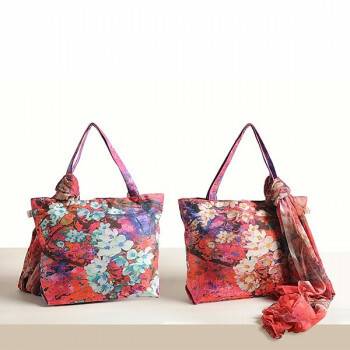 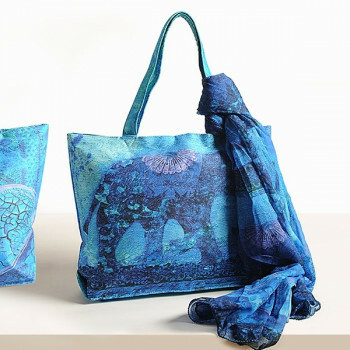 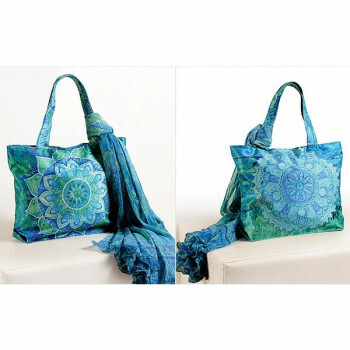 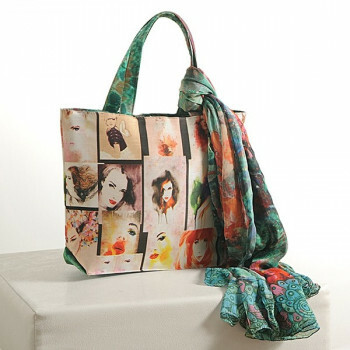 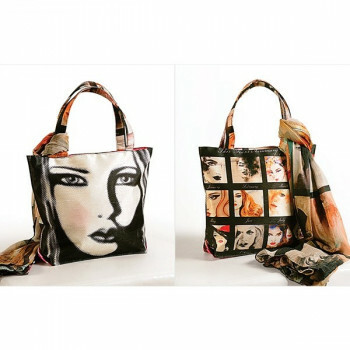 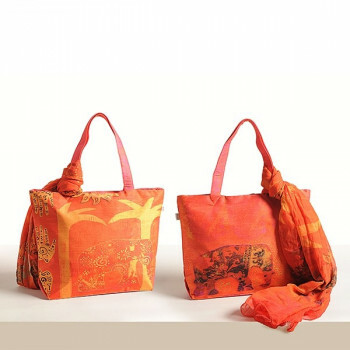 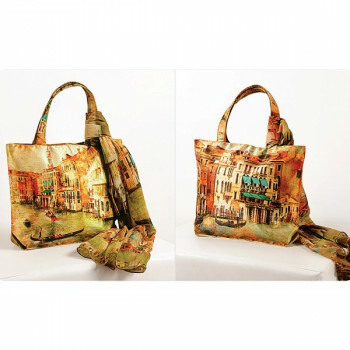 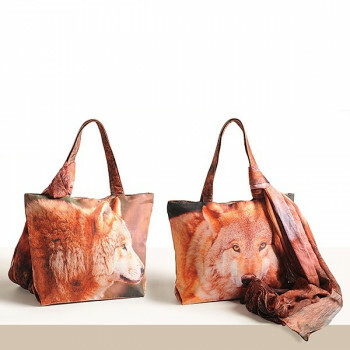 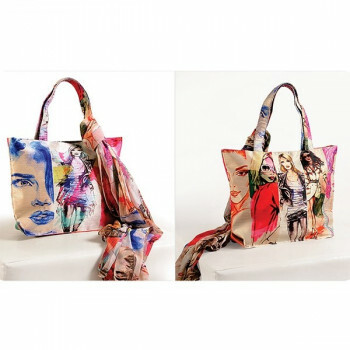 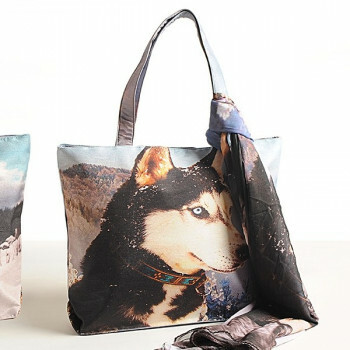 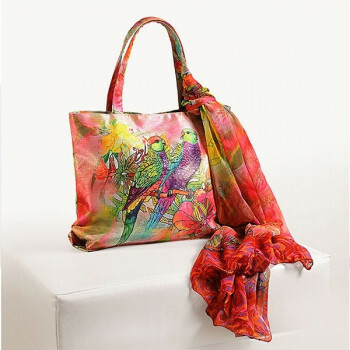 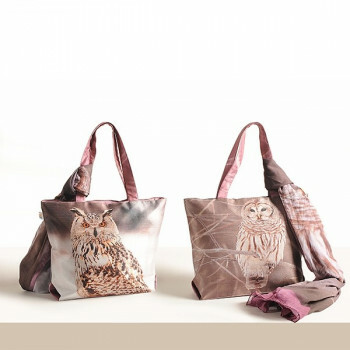 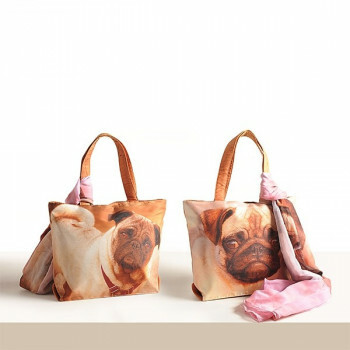 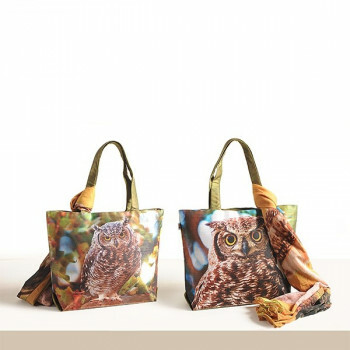 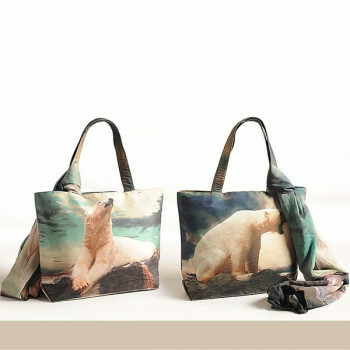 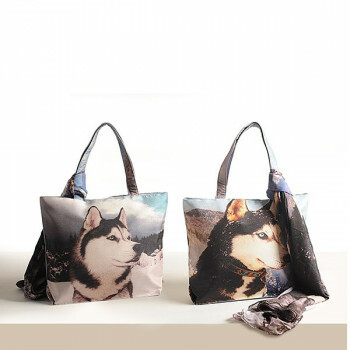 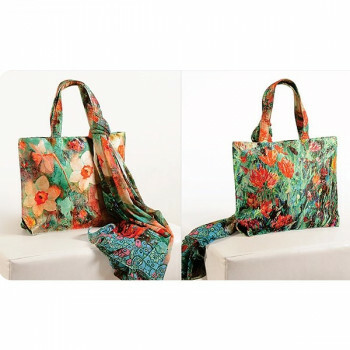 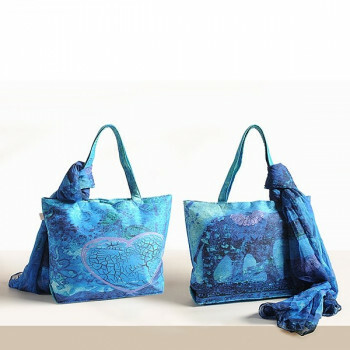 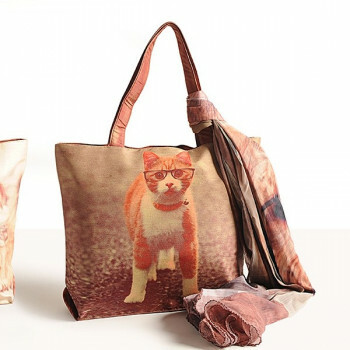 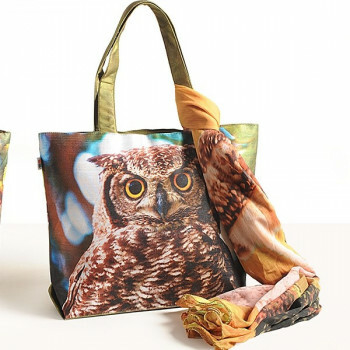 The two sides of these bags with scarves have different prints which will impart a new appearance on both sides. 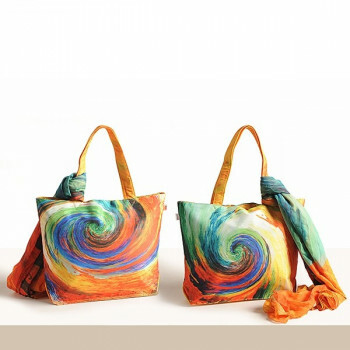 You can carry them wherever you go and with any style of outfit as they are very comfortable to carry. 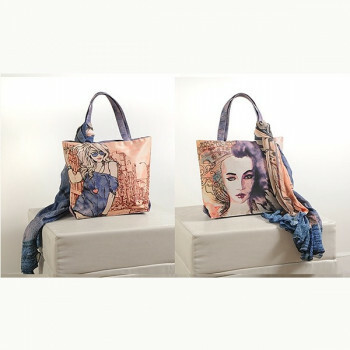 Your confident will definitely increase when you have this bag on your shoulders. 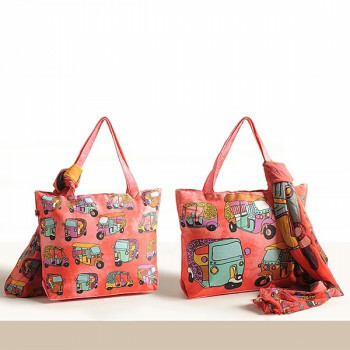 They are very spacious therefore allows to carry a large number of things. 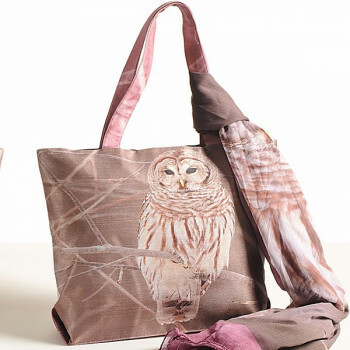 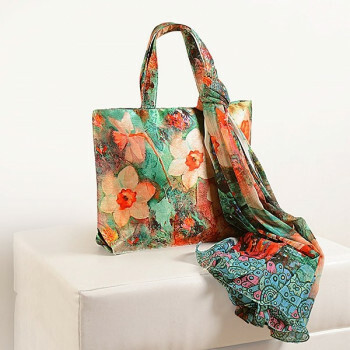 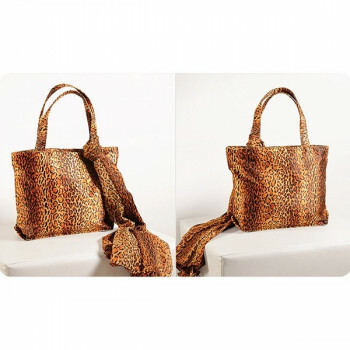 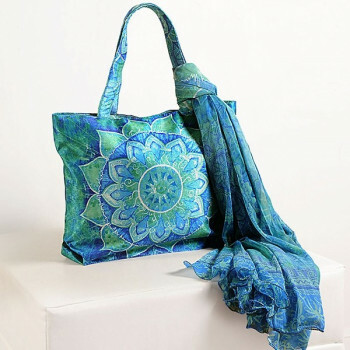 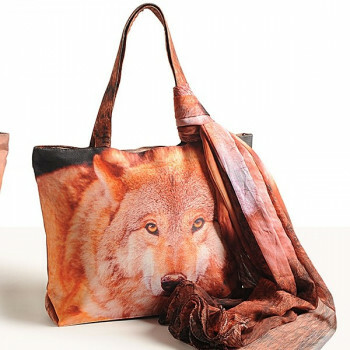 Buy brown girl scarf bags from swayamindia.com, our online shopping portal and keep your things safe with you. 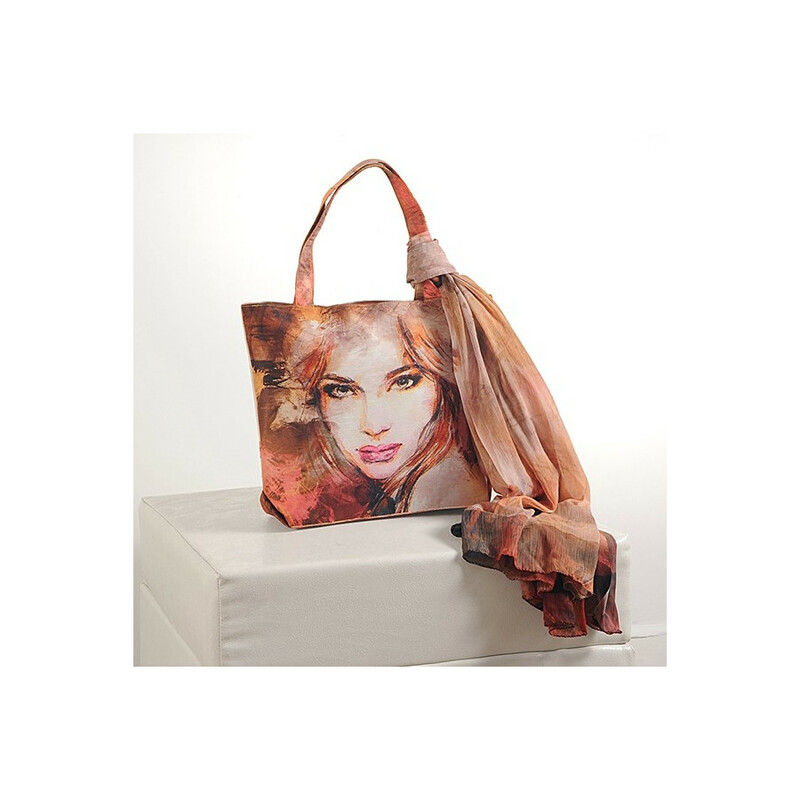 The bags are made using the finest quality dupion faux silk which gives them strength and a smooth texture. 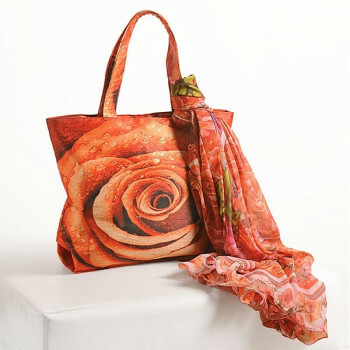 The scarves are also soft and smooth to the skin as they are made using chiffon. 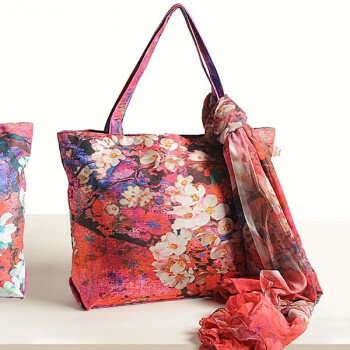 You can wear them every day without any risk of allergies or skin irritation. 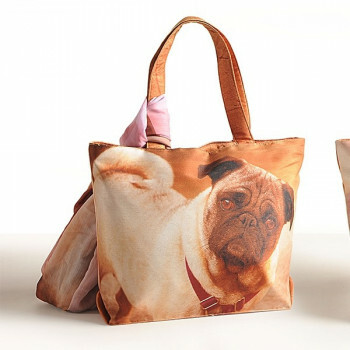 They are firmly stitched therefore there is no chance of tearing or damage even if you carry huge loads. 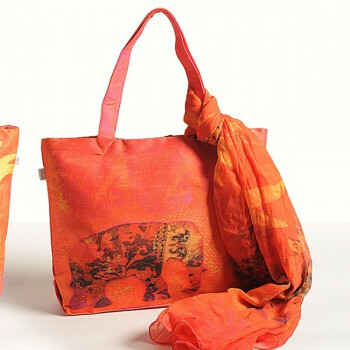 You can also clean these bags using damp cloth. 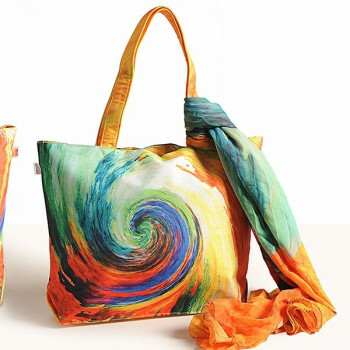 The scarf can be washed in a machine as they are colorfast in nature. 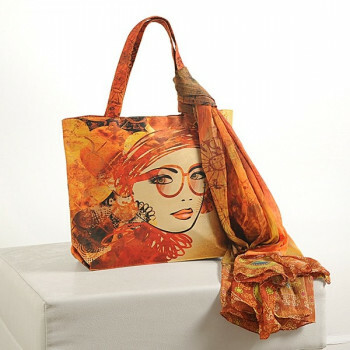 Buy brown girl scarf bags online from our shopping portal swayamindia.com and shop in style. 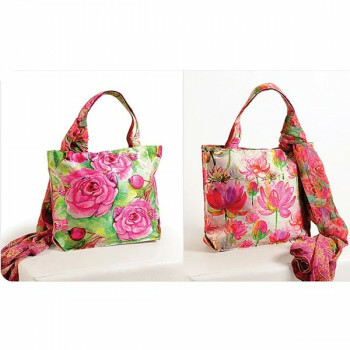 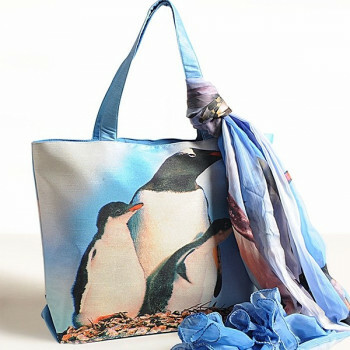 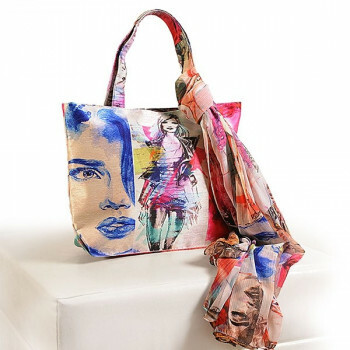 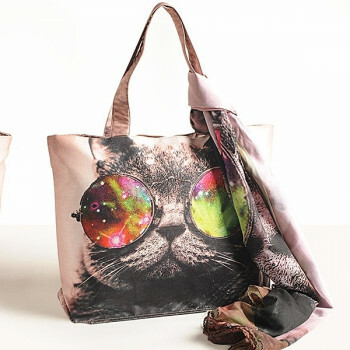 You can avail these bags with scarves at a reasonable price. 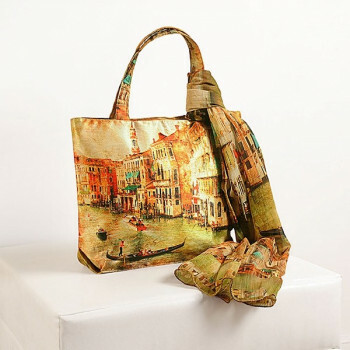 You can make your payments online or you can pay cash on delivery. 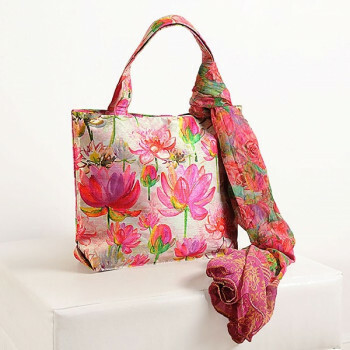 Cash on delivery services are offered to customers on purchases above Rs.500.